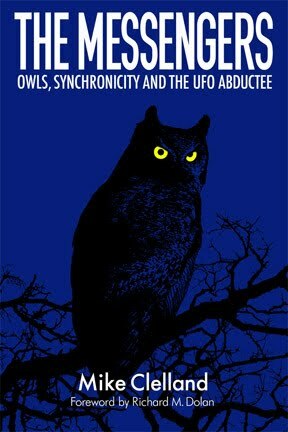 The Australian duo of Aaron and Ben discuss my recent essay Owls and the UFO Abductee. They read aloud and explore the issues in that report. I'm posting an audio excerpt of their exchange. This was posted at their site on July 15th. Mysterious Universe is a weekly podcast series that looks into all sorts of Fortiana. They have a weekly free podcast (HERE), and a follow-up membership podcast as part of their Plus Series (HERE). 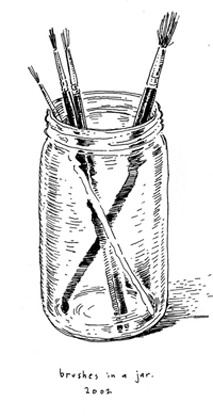 Their guest bloggers include Nick Redfern, Micah Hanks and Red Pill Junkie. 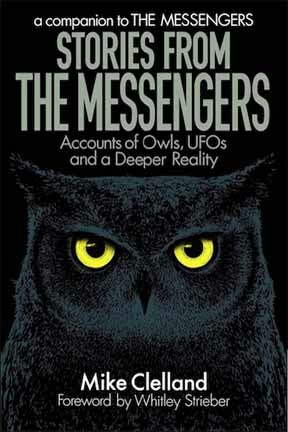 Fantastic to hear "Owls and the UFO Abductee" discussed by Mysterious Universe Pod Cast in Australia (and the hosts' voices make the owl stories sound soo cool)! 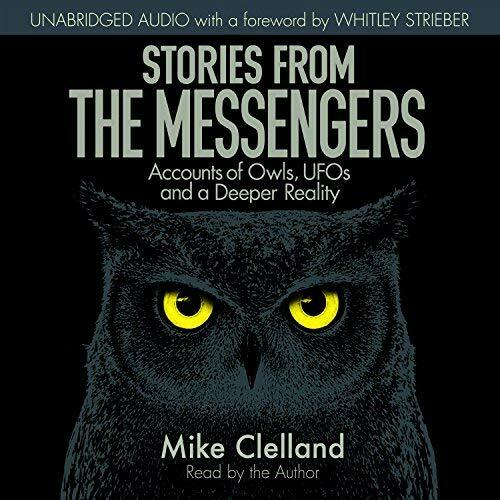 It's thrilling that the people Down Under will be exposed to it, and I look forward to hearing/reading additional owl and animal accounts from the people there, who may contact Mike as a result of the pod cast. This essay asserts and ties together so much of what we think is random, as we are often isolated from one another's experiences. Reading it confirms in an enlightening way that many of us are having interesting owl experiences. After having read the Owl Essay, a friend of mine was discussing it last Saturday, as well as spending time on Mike's Backpacking Blog, http://ultralightbackpackintips.blogspot.com/. 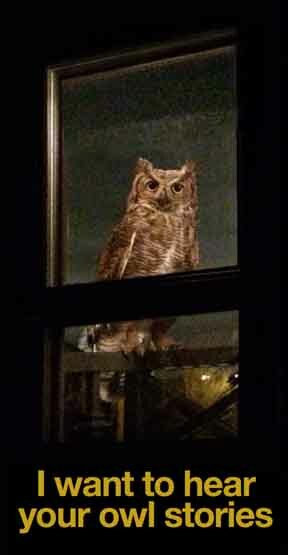 That same night, my friend walked out of the front door of his home at about 9:00 pm, in the dark, to hear what sounded like an owl calling, "Hoot, Hoot" from the lawn in front of him. Next, he heard the sound of flapping wings, as if it was flying away. He emphasizes that he never actually saw an owl, but he heard it - its call and the wings flapping to take off. He ran inside with the chills, because the experience itself held so many synchronicities. It's interesting to note that he has not seen nor heard owls in that area before. 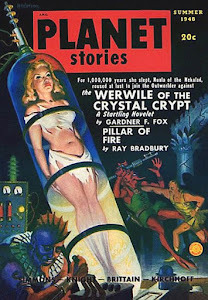 ..one more story for the Owl Files. OMG: It just hit me- another major message from Mysterious Universe Podcast! The small owl in the car held by the woman could have been a hybrid baby experience/ introduction!! Wow- I had not thought of that, and it actually makes sense in that context.